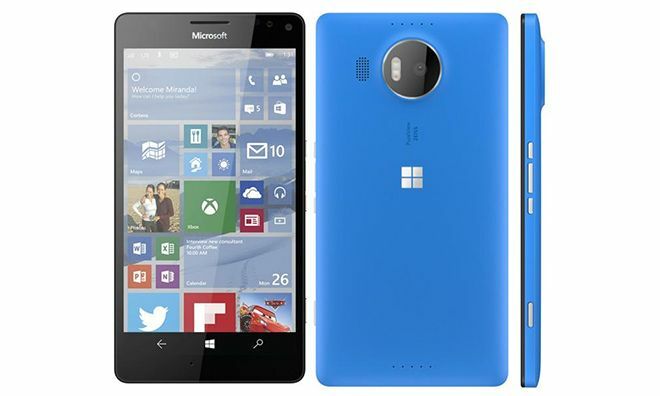 The new model coming from Microsoft called Lumia 950 is finally here. It was a long time for it to arrive, but it was all worth it. Microsoft Lumia 950 is better in every possible way than the previous model 930. We have been waiting for the model for about a year and a half, there was a lot of rumores, speculations, but now we know everything that we need. The device has a 5.2" QHD screen – the sharpest on a Lumia. Like the XL screen, this one is an AMOLED with Glance screen and ClearBlack. The phone is powered by Snapdragon 808 with liquid cooling and 3GB of RAM, making it run very well, however it moght not be the best choice for gamers. The camera has stayed the same, so it is a very good 20MP PureView sensor (1/2.4") with 5th gen optical stabilization and Carl Zeiss optics (f/1.9). It can record 2160p video with Lumia's traditional Hi-Fi audio recording. There's a 5MP/1080p front camera, but without the flash. The price that you have to pay for this device $550 and it comes in November. Looking for an easy way to remove the network blockade? We can help You with that. our company offers network unlock codes, which allow your phone to work in any network you wish. We can unlock all Microsoft models from the majority of networks.